Lumesse has announced an extended partnership with Adjust HR, an Adecco France Group company specialising in the creation and implementation of HR solutions. Adjust HR, a longtime partner of Lumesse, has chosen the innovative SaaS technology of Lumesse TalentLink to offer its customers new ways to optimise their recruitment processes. Lumesse TalentLink is an innovative and flexible talent management solution, including particularly strong capabilities around utilising social media for building and managing candidate talent pools. "Our partnerships with our clients are long-term," said Stéphane Pecqueur, Director of Recruitment Solutions at Adjust HR. "They entrust us with all or part of their recruitment processes, often for many years. We also help with more immediate needs, such as technical support for operational HR systems or taking full responsibility from A to Z for a specific recruitment campaign." Adjust HR is staffed by experts in human resources solutions that analyse and understand the specific HR needs of each client. Client HR departments, by outsourcing repetitive or time-consuming tasks, or activities requiring external expertise, can focus on tasks with higher added value. Lumesse TalentLink directly supports this approach, for example by rapid deployment of talent acquisition systems, easy creation of history-based candidate talent pools, and a substantial decrease in the time and cost of recruitment. By automating many tasks, such as managing candidate responses and using filters to refine applications early in the process, the lives of recruiters and managers are also simplified by Lumesse TalentLink. "However great a tool may be, it can't work without human skill," notes Stéphane Pecqueur. "But the capabilities of the Lumesse TalentLink solution, coupled to the expertise of Adjust HR people, allow us to provide recruitment solutions that suit the needs of our customers and create wins in both in efficiency and quality." "Our partnership with the HR experts at Adjust HR underlines the flexibility of Lumesse TalentLink," said Lumesse CEO, Matthew Parker. 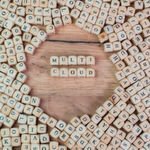 "Our multi-tenant SaaS technology is perfect for MSPs and RPOs that want to supply world-class talent applications to multiple clients."